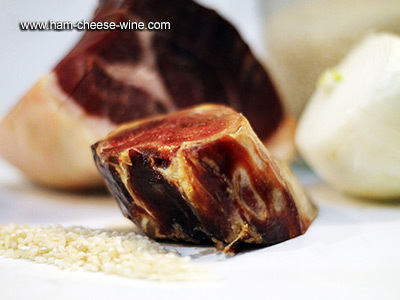 Bones from Iberico ham are considered in some cuisines, such as Spanish as a culinary ingredient. Now you can prepare your soup to taste with bone Iberico ham and you will see that you will enhance your dishes with a very special flavor. 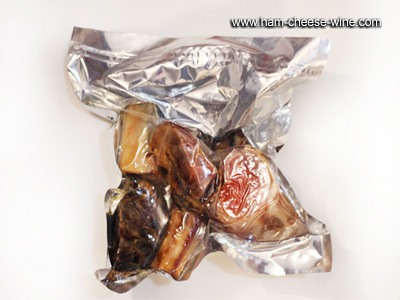 The first thing to do is clean the bone, you can leave some ham, but we must remove all the white fat as well as the yellow fat, because this fat can give a rancid flavor to the soup. We fill the pot with water and put the bones, as it warms the bone, leave a white foam should be withdrawn because they are impurities that remain in the iberico ham bone.